Of the Arrival lobby of the Colombo Airport. there were 78 elephants living here. 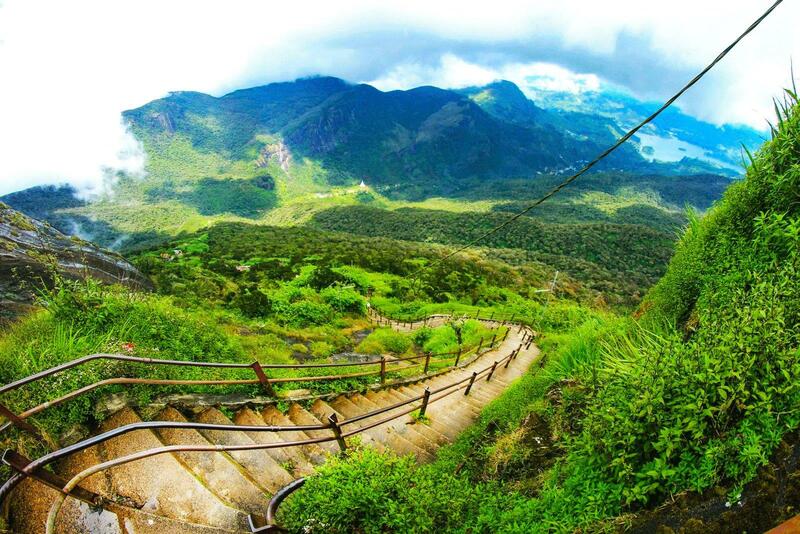 Leave for Nuwara Eliya - visit a Tea Plantation and a Tea Factory, The Ramboda Falls. Cottage , General's House , Grand Hotel , Hill Club , and Town Post Office . 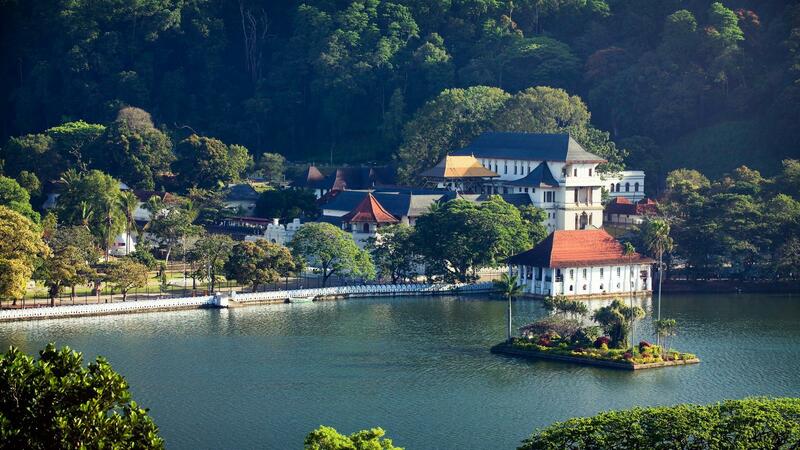 In the 17th century, it was the residence of the Chief Minister of the Royal Granary. However, In 1818 this property was acquired by the British and occupied by an officer, who named it "Haramby House". Years later, "Haramby House" was sold to a Swiss lady, Madam Burdayron, who ran it as a guest house. During the second world war from 1943 to 1945, it was used as the Headquarters of the South East Asia Command. This then was the beginning of the present "The Hotel Suisse"
Come to Ramboda Falls Hotel in Nuwara Eliya to enjoy a true getaway from everyday life. 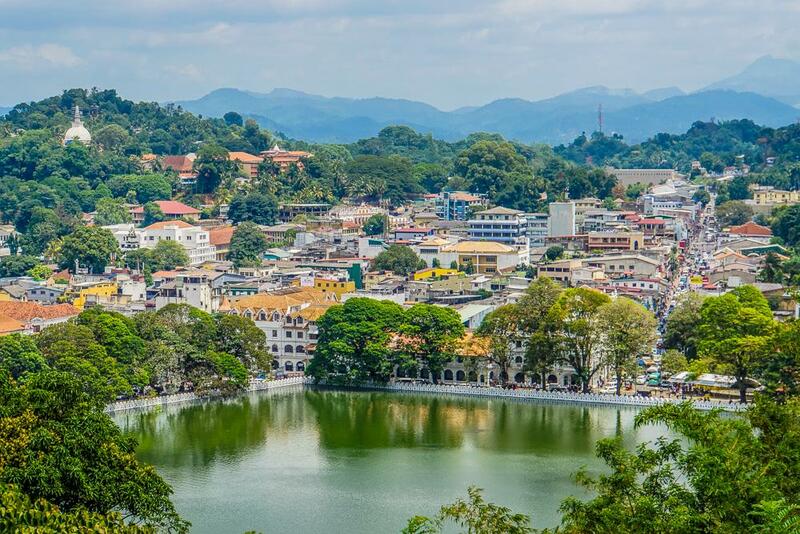 This Nuwara Eliya hotel provides an escape that is set in lush verdant surroundings with waterfalls in the foreground and in the background misty mountains carpeted by dense tea bushes just waiting to be explored. The town's cool climate brings relief from heat and humidity rejuvenates the body while the beautiful surroundings relax the mind. So sit back and sip a cup of Ceylon Tea as you enjoy Sri Lanka's hill country from the comfort of the Ramboda Falls Hotel. Pure beachside bliss and lazy days await you at one of the most luxurious hotels in Kalutara, Sri Lanka. Space meets light at our sunny haven in a fusion of ancient and modern design, where myriad corners of quiet beauty are yours to call your own. A vast stretch of glittering sands kiss the rolling surf. The palms sway and beckon you to bring a deck chair, and at just 40km South from Colombo on the Western coastline, you don’t have to travel far for it either.er.